Born in landlocked Austria the sea and all countries with a long coastline have always fascinated me. Family holidays to Greece were the highlight of my childhood, but trips to the islands of Denmark and a cruise along the Norwegian coast consolidated my love for the Northern shores. Ever since I graduated from high school Scotland has been my dream – the lush green fields spotted with Highland cows and sheep. The jagged mountain ranges rising high up above the sea. 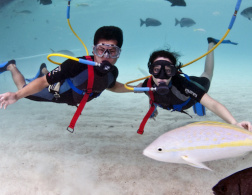 Thousands of islands, sandy and rocky beaches, ferry rides and boat trips. I couldn’t wait to move here. And indeed, the opportunities for adventures along the Scottish West Coast are numerous. The highlands, the coast and the islands hold plenty of action for everyone. 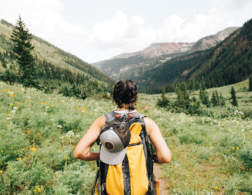 Whether you are backpacking in high heels, a full-on outdoor junkie or something in between, here is a list of what you can do. – Get your own wheels and go on a roadtrip to admire the beauty of the highlands. As in the rest of the UK you have to drive on the left and there are many windy single track roads off the main roads. All of them are however, scenic. The main road A 82 for example leads along beautiful lochs (lakes and fjords), through deep valleys and past majestic mountain ranges. – The Nevis Range lies just east of Fort William. The cable car of the nearby Nevis Range Ski Resort runs year-round. On top two short walks to view points (40 and 60 minutes round) offer breathtaking views towards Loch Lochy and Ben Nevis, the highest peak of the UK. If it doesn’t rain, you should be fine with flat-ish wedges, but maybe a pair of trainers wouldn’t hurt. – The Jacobite Steam Train belongs to the most scenic train routes of the world and leads from Fort William to the ferry town Mallaig. You might know it better as the Harry Potter train! The journey takes two hours and crosses over the historical Glenfinnan viaduct, which you might remember from the films. 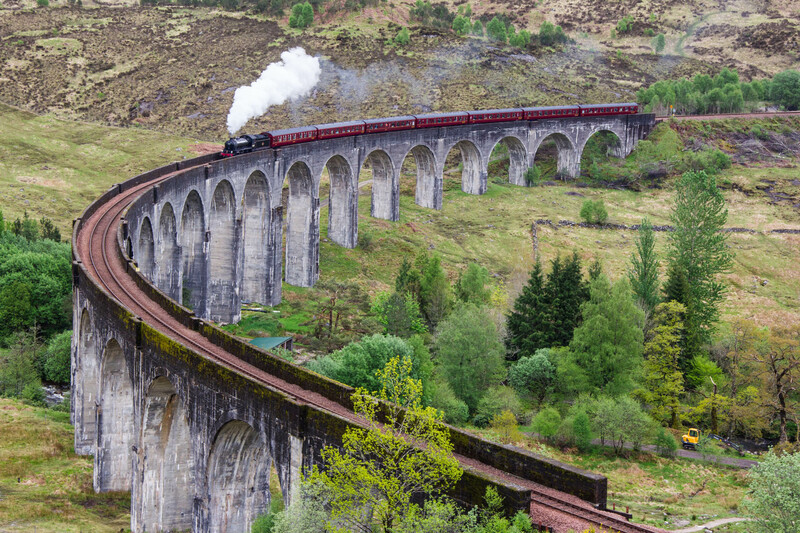 Roadtrippers can see the steam train pass the viaduct from a view-point along A 830 two times a day – currently around 11am and just after 3pm. – Once you come to Mallaig change perspective and reach the Isle of Skye, one of Scotland’s most popular holiday destinations, by ferry. There is a bridge a little further north, but the view from the water is worth it! 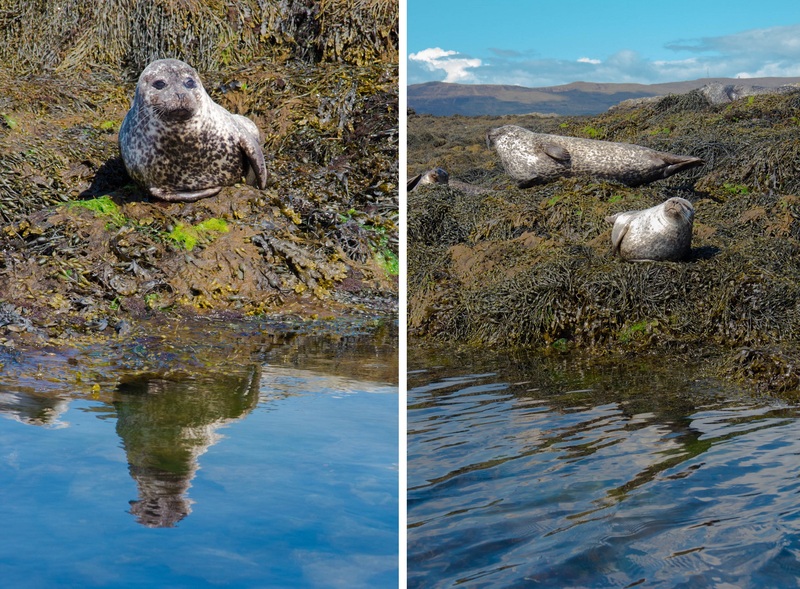 – Boat trips make for a comfortable way of exploring the Scottish coast and wildlife. In many coastal towns the harbours are seamed with tour ships offering short trips to surrounding sea-bird and seal colonies. My favourite is the tour offered at Dunvegan Castle on the Isle of Skye. They take a maximum of 7 people per tour and get you real close to the almost 300 seals of the bay. Tickets are only available in combination with a ticket for Dunvegan Castle or Gardens (the latter being the more preferable option). – Not just perfect for the heeled traveler, but also for rainy days is a visit to one of Scotland’s many whisky distilleries. The Friends of Classic Malt is an organisation of 13 whisky distilleries across Scotland. Its website holds plenty of information about Scottish whisky and the member distilleries. 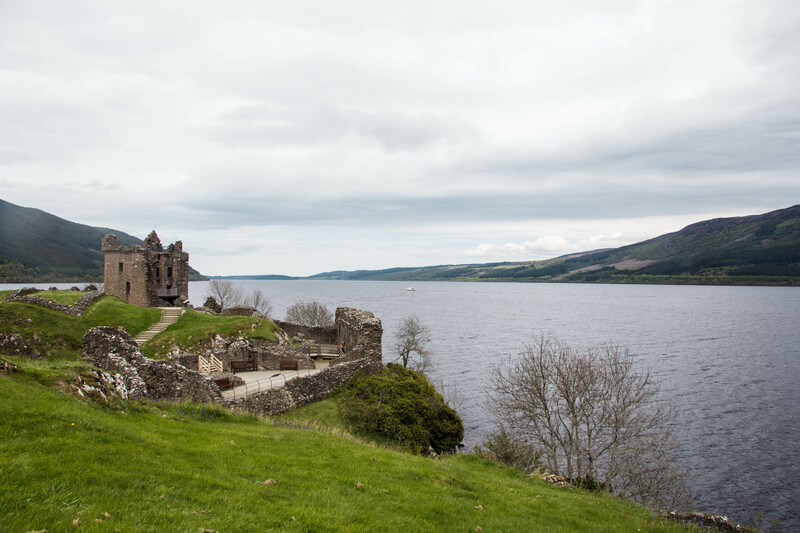 – Even though its views are not more special than any other Scottish loch, Loch Ness is a definite must see. 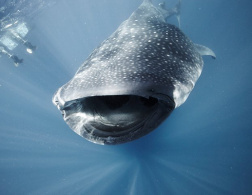 Who would not want to hunt the adorable green monster of the deep waters? If you are daring enough hunt Nessie in a kayak, but there are plenty of boat trips to switch to. Urquhart Castle is an ancient ruin right by Drumnadrochit and the views from there are unbeatable! – Oban and the surrounding Small Isles are great places for sea kayaking. Either book a guided tour or, if experienced enough rent a kayak yourself and head out for an overnight camping-kayaking tour. 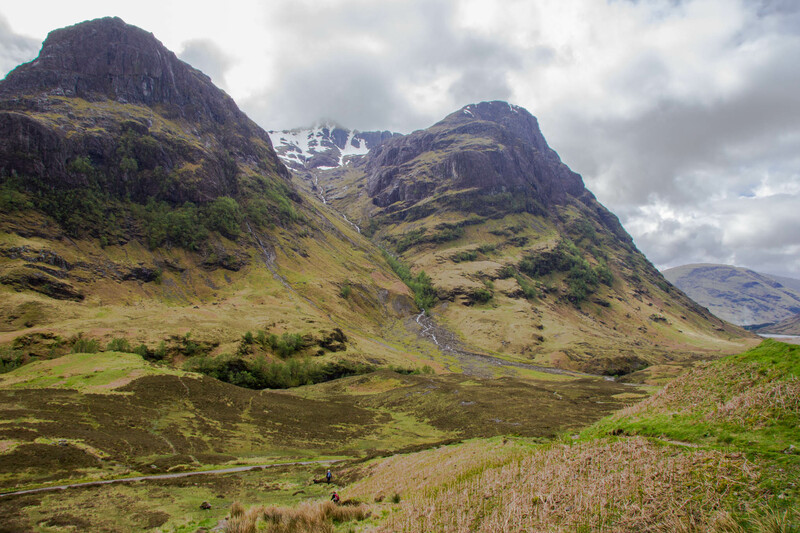 – Glen Coe is one of Scotland’s most beautiful valleys and definitely one of the busiest. Every highlands traveler passes through here. For a thrilling and spectacular scramble up high hike and cross the ridge of Aonach Eagach. But be warned: this route requires much hill walking experience. In snow you will need ice axes, crampons and winter walking skills! – The Three Sisters are a group of peaks just opposite of Aonach Eagach on the other side of the valley. Instead of choosing one of the many trails leading up, why not tie in and climb up the steep and rugged walls? The West Coast Mountain Guides offer multiple day climbing courses in the area. 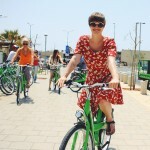 – You prefer going downhill rather than uphill? 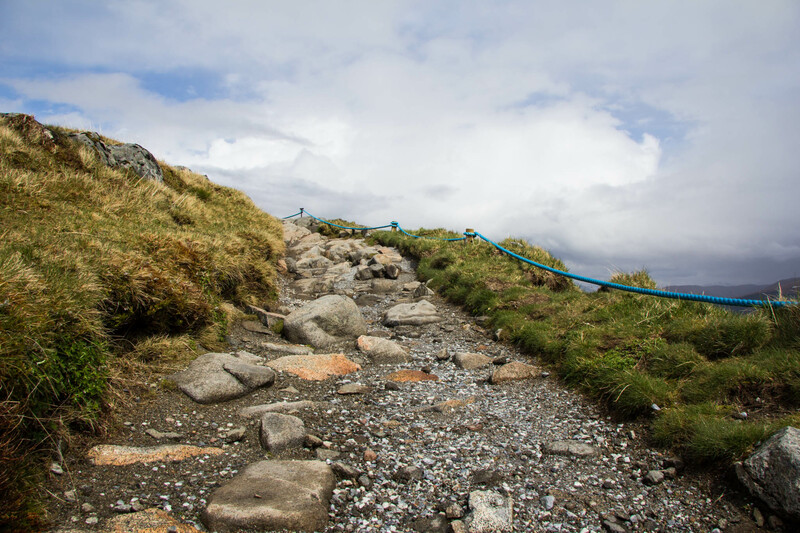 Then head to the Nevis Range with your mountain bike. Take the gondola up and one of the numerous MTB trails down. 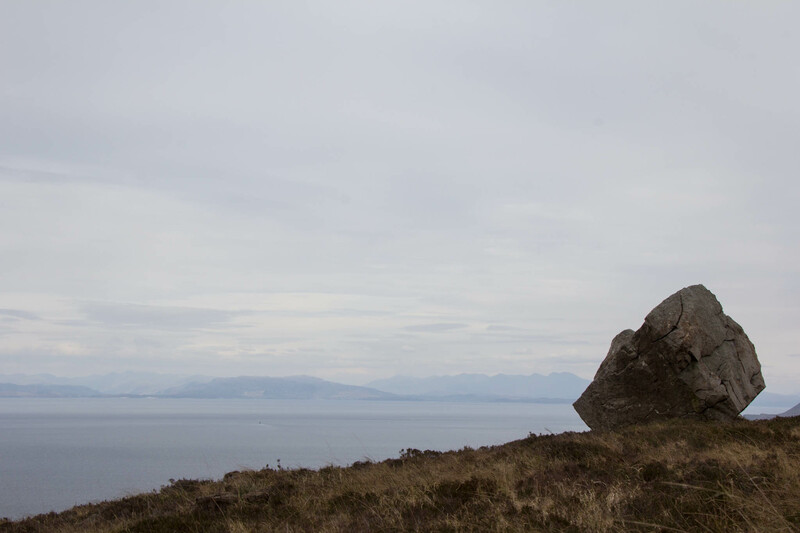 – Just South of Skye lies the Isle of Rum. About 40 people live on this island, which is also home to Kinloch Castle and a red payphone box. Visitors praise the island’s opportunities for wildlife watching (seals and birds anyone?) and the challenging boulder fields. The ferry ride takes about 1,5 hours and there is no need to bring your car as there are no roads on Rum. – On the way back from Rum to Mallaig, the ferry stops at the Isle of Eigg. Its characteristic peak An Sgurr spoils eager hill walkers with stunning views. – Kayaking on a loch is easier and requires less experience than sea kayaking. Loch Lomond is Scotland’s biggest loch and there are several tiny islands waiting for you to discover. Kayaks and canoes can be rented in Luss or Balloch. 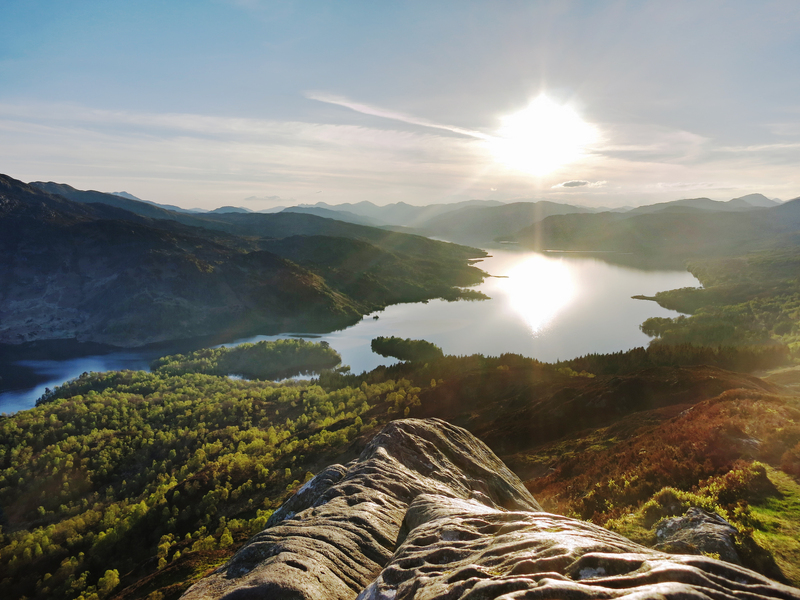 – The summit of Ben A’an lies just east of Loch Lomond and is a particularly popular smaller hill. 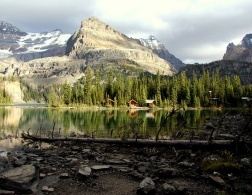 Allow 2 to 4 hours for the hike and prepare for more stunning vistas. – The West Highland Way is a relaxed long distance trail (154km) leading from Milngavie in the north of Glasgow to Fort William. On the way there are plenty of guesthouses and hotels to stop and get pampered with delicious Scottish supper. The route gets quite busy and accommodation is best booked in advance. The average time it takes to walk all the way is 6 to 7 days, but it is possible to walk only bits and pieces of it. – Walk Highlands gives a good overview of hill walking and hiking trails and holds information about level of difficulty, duration and route description. – In my opinion high rope courses anywhere are simply awesome as they don’t require any skills what so ever – just guts. 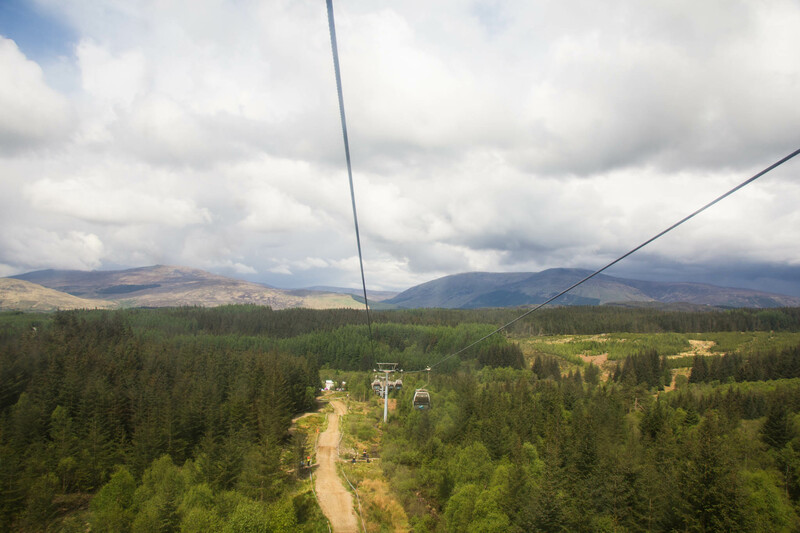 The High Wire Adventure is situated at the bottom of the Nevis Range ski resort car park and makes for a great half day of fun with climbing features and zip lines. 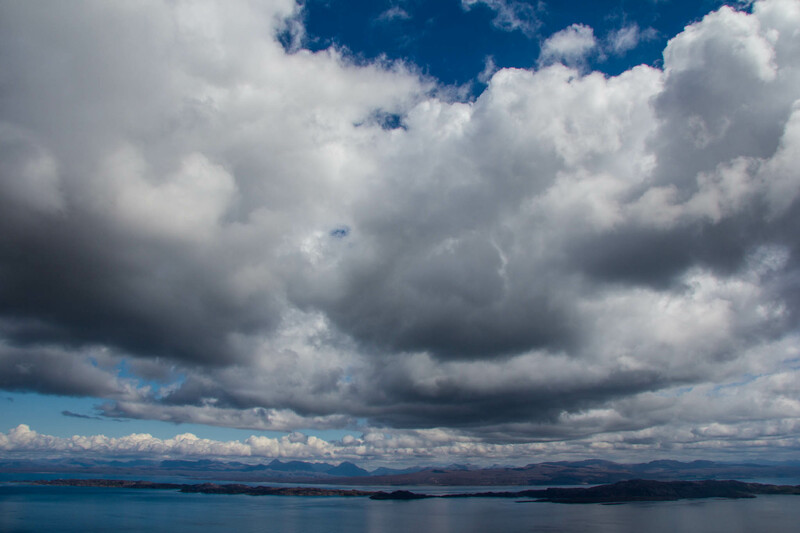 – The Isle Skye is beautiful, but many of the stunning view points require a little bit of walking. Exchange the heels for trainers and go on a roadtrip around the northern most part of the island, Trotternish. The Old Man of Storr is a free-standing monolithic rock up a little hill. From there you get a beautiful view over Skye and the sea. Walking up and down the steep trail from the parking lot takes about 1.5 hours and offers a rewarding view from the top. 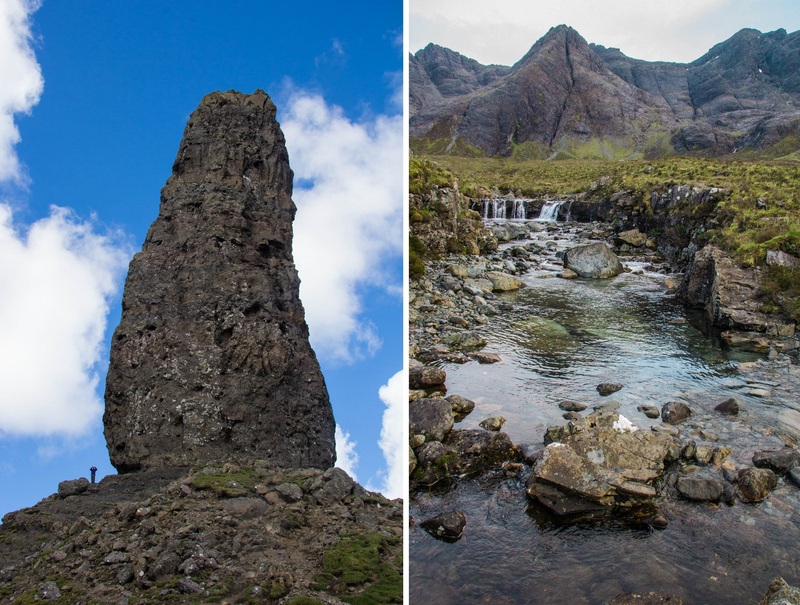 – Another, less frequented trail leads to the fairy pools at the feet of the Cuillin Hills. On the way to Glenbrittle there is a car park on the right just as the road descends towards the sea. From there a trail leads to the river and the pools. The circuit is quite easy and doable in about 3 hours. Scotland is famous for its breathtaking landscape and great variety of outdoor activities, but there is surely no necessity to fully convert from backpacking in heels to an outdoor junkie – there is plenty for everyone! All photos by Kathi Kamleitner, except for “Panorama” by Michael Kamleitner and “Ben A’an” by Richard Grothe. A great post summarising just how beautiful Scotland is. Your lovely photographs make me feel quite homesick. Great post and beautiful pictures! I've wanted to visit these areas for many years but I don't drive - is it a necessity for getting around? Thanks! so many options of things to do! I'd love to go. Oh I miss Scotland! The highlands and lochs also fascinate me. Scotland is blessed to have these great places. This is such an amazing list. I am going to near Fort William this summer with my parents and can't wait to check some of these out!! Hi Kathi, my girl friend and I are planning a Scotland driving trip this Sept and this is great info. I've never been but have many places I'd like to visit in 14 days! Would love any current info you might have to impart to make our trip more enjoyable. On a technical note, I'm trying to save your blog articles on Scotland as a pdf to print out for my Itinerary book I'm compiling. Is it ok and if so how do I do it where I can print with as few pages as possible! For some reason it wants to save 14 pages! thanks again for this article with a female take.